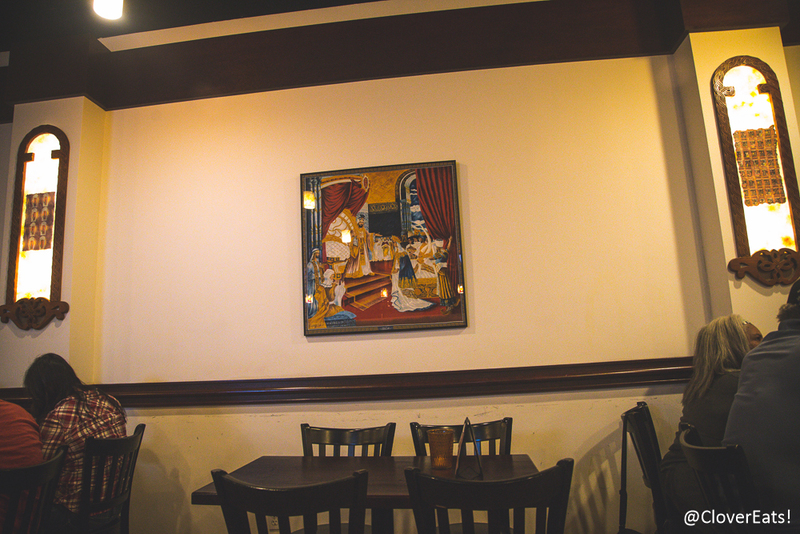 CloverEats: Lalibela in New Haven | Clover Eats! 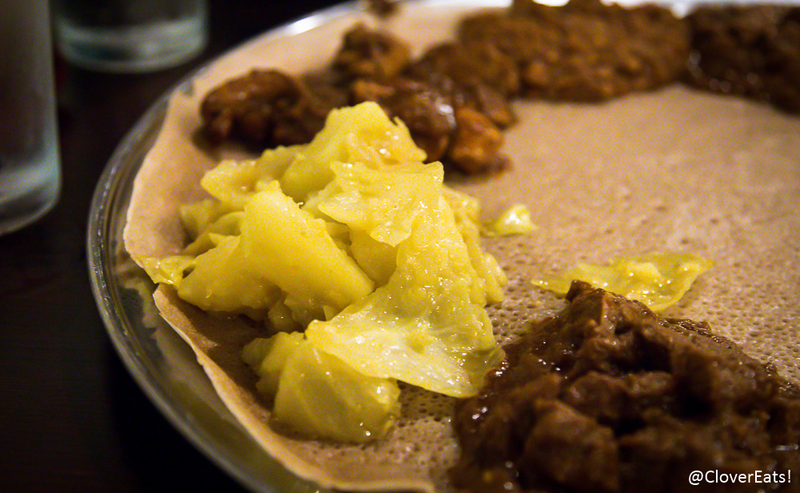 I really enjoy Ethiopian cuisine because of injera, the sour spongy bread that everything is served on. When we saw Lalibela, we had to try it out! 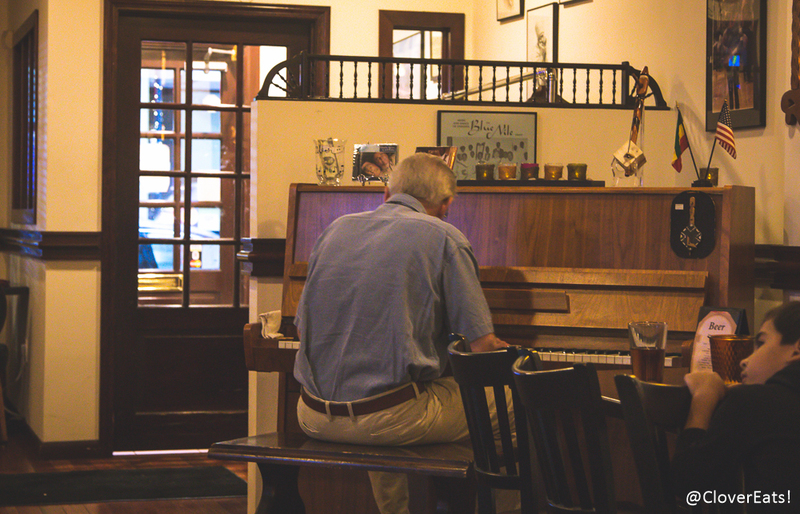 We stopped by on a Saturday evening, so had the pleasant surprise of a pianist! 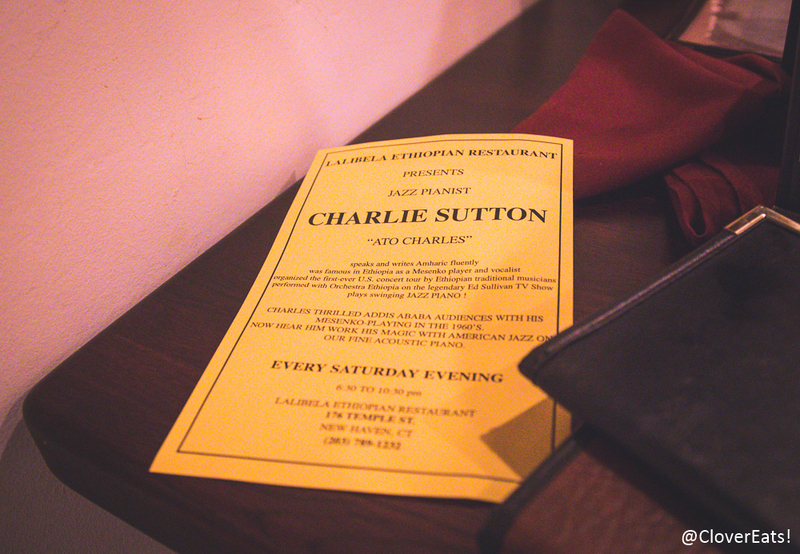 “Ato Charles” plays every Saturday from 6:30-9:30 and is really fantastic! It’s a pleasant space, but there were only two waitresses serving the entire restaurant! 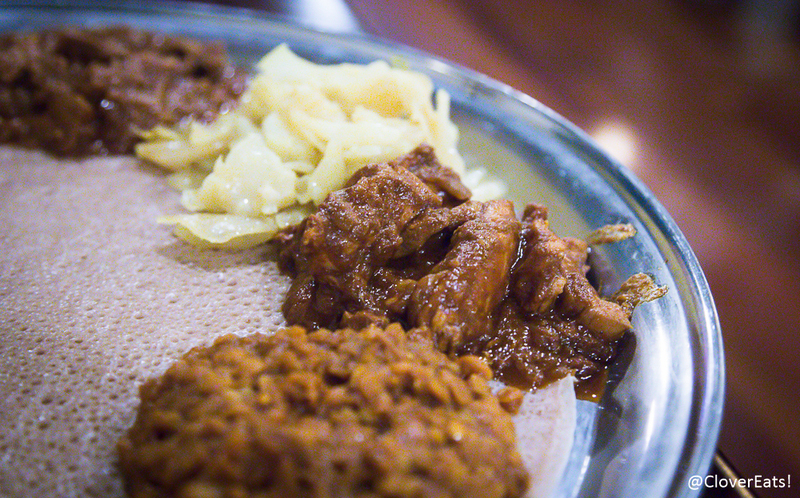 They were moving very quickly, but things still ended up being pretty slow, and small details like water being unfilled and the injera not being warm when it came out. Other Ethiopian restaurants I’ve been to have maybe been a littler fancier, with hot towels provided before dinner and food being served on mesobs, the traditional woven basket tables. 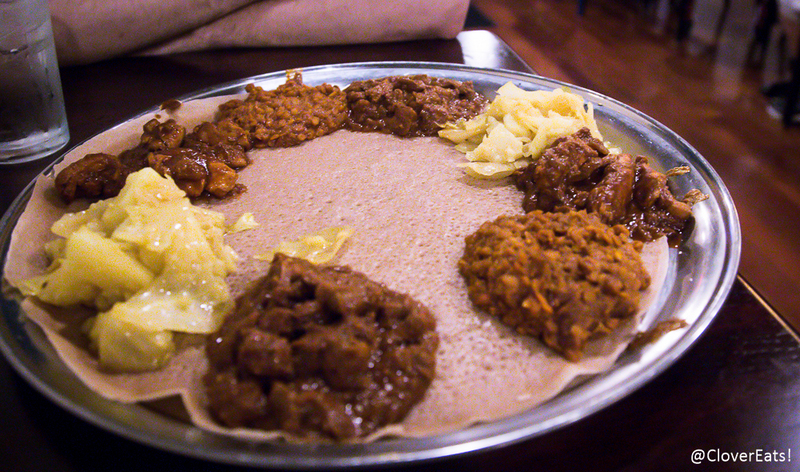 We got the combination dish, a choice of four, which unfortunately doesn’t allow you to get any lamb dishes or the very interesting Kitfo dish (“Ethiopian version of steak tartare” – beef, mitmita, purified butter, homemade cottage cheese). We instead got Doro Wot (chicken with butter, oniones, garlic, berbere) and Siga Wot (very similar, but with beef), both of which were flavorful and filling. We probably should have chosen different sauces/styles, but we just love the taste of berbere, a mixture of chili, garlic, ginger, and spices. We were able to get my favorite, Tikel Gomen, which is cabbage and potatoes with garlic and spices. It’s a dish that tastes almost pickled and so very much appeals to my love of all things sour. For our other vegetable, Yesimir Wot, again with the berbere sauce. Very tasty. Overall, a great meal, if lacking in some service details. To my delight, they offer a lunch buffet, which sounds fantastic as it allows for sampling of a greater variety of dishes. There also is a food cart, which I’ve been to and am disappointed to report is nowhere near as good as the restaurant. 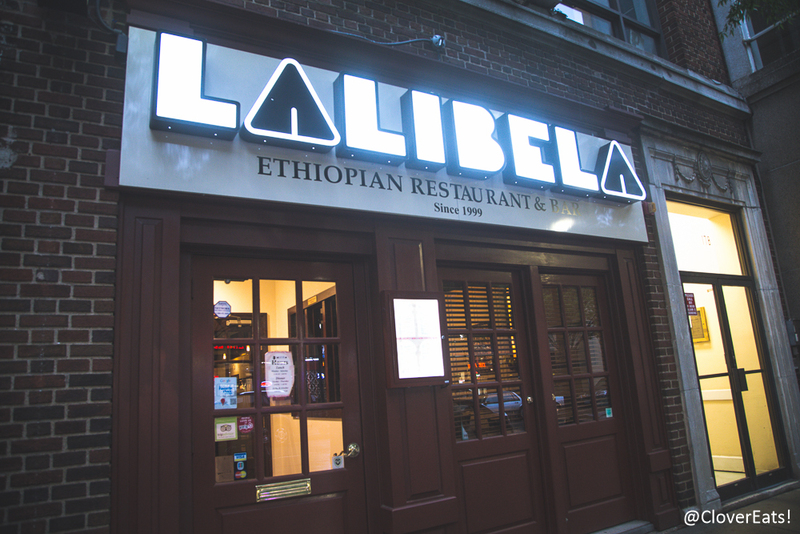 Check Lalibela out on Yelp or at their website!